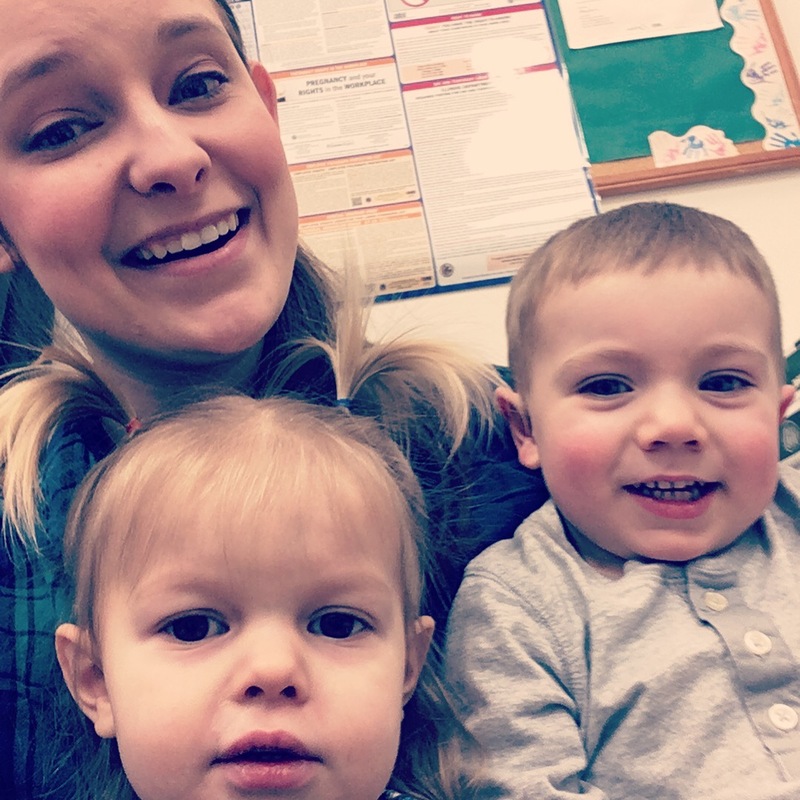 One day I entered the doors of Music Therapy Connections as a music therapy intern, and the next (after passing my board certification), I entered as music therapist. The entire building looked and felt different. Though I was nervous and still a bit unsure, I knew that I was exactly where I was supposed to be. It was easy for me to fall in love with what we do here. I love that I have the opportunity to serve everyone from birth through adulthood and all of life. I have the pleasure of working with people in the lesson setting, group setting, and individual therapeutic setting. I love that I am able to serve people of all ages and all abilities within these walls. Everyone needs a safe place to experience something meaningful, create a sense of purpose, and even just be heard. Providing that safe place is the heartbeat of what we do here. 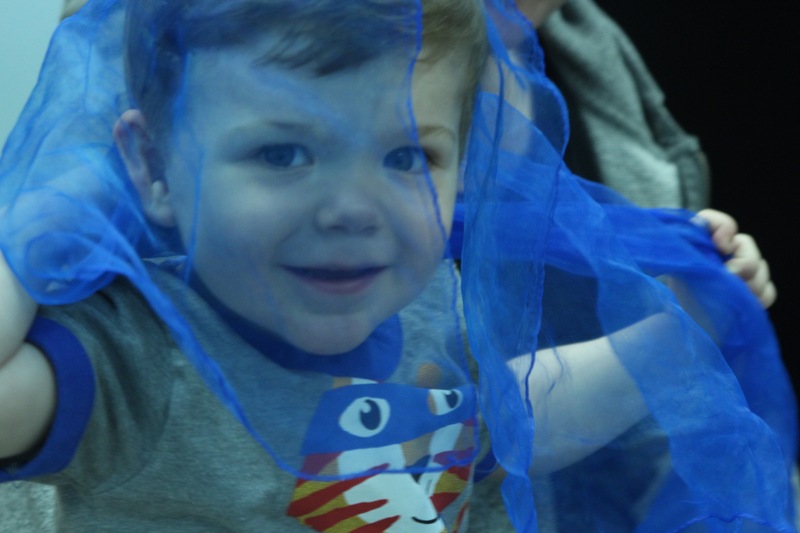 For many of our students and clients, their Music Therapy Connections experience begins in our Listen & Learn for Little Ones class where children ages 0-3 explore music with their parents, grandparents, and loved ones. We focus on supporting their precious development and creating bonding opportunities for every family. When our students are 3 years old and ready for the move, they often graduate to our Listen & Learn a Little More class! This class is still developmentally supportive, but we also continue to work on social skills, reading, counting and so much more! Plus, Listen & Learn a Little More is for children only. Parents can relax and listen to our preschoolers laughing and singing from the comfort of our waiting area. And, of course, when you feel that your 4 or 5 year old is ready, they can graduate yet again to our pre-lessons class Listen and Learn Into Lessons. This course was made for our very active 4-7 year olds who want to learn a new instrument but aren’t quite ready to sit for a 30 minute lesson. Students will learn piano basics, rhythmic counting, musical genres, terms and application in a fun and interactive environment with peers. 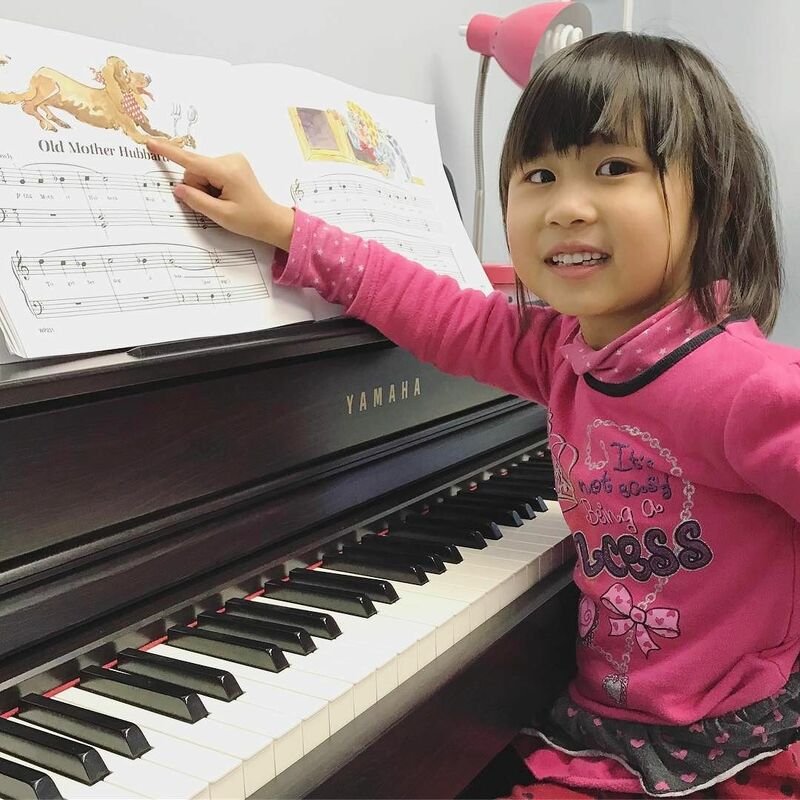 Finally, when your young learner is ready, they can register for their very own individual lessons with one of our teachers specializing in a variety of styles and instruments. Students can learn to play ukulele, guitar, piano, or sing! Keep in mind, our lessons are individualized. Whether you are an adult or fresh out of our Listen & Learn Into Lessons course, we will create an environment to facilitate your success, growth, and love of music. To register for lessons, click on the link below. If you would like to learn more about Music Therapy Connections, what we do, and our various services, we welcome you to our Open House on Sunday, May 6th between 10:00 am and 4:00 pm for refreshments, fun activities, a drumming experience, and a giveaway you don’t want to miss! I remember the first time I led a music therapy session. My hands were clammy and my fingers trembled as I delicately placed them on the neck of my guitar. With my guitar slung over my body and all eyes on me, I was ready. I lifted my right arm and started strumming my first hello song. Years later, I don’t remember the songs we sang or instruments we played but I do remember the way that they smiled. It was almost as though making music with these older adults breathed more life into them. That was the moment when I knew that there was no turning back. 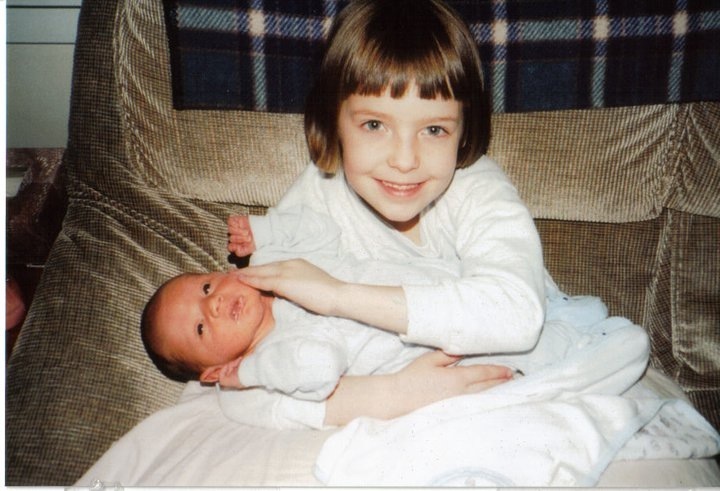 I was going to be a MUSIC THERAPIST. Currently, I work with a variety of populations. 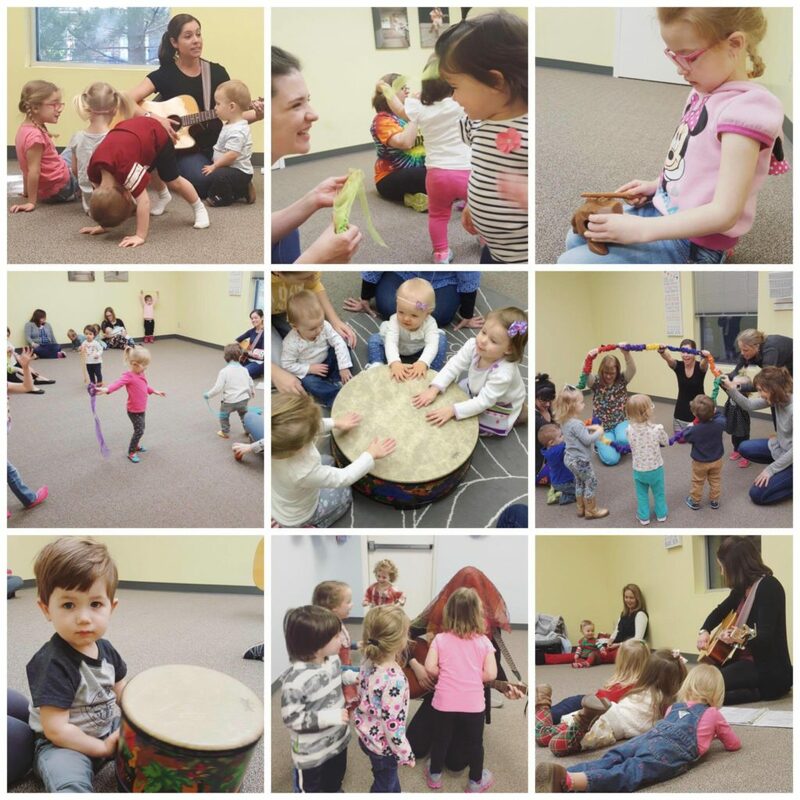 I facilitate music classes for ages birth to 5 supporting their developmental goals. I provide individual music therapy sessions to children improving their reading and spelling skills, and children and young adults with autism to improve social, emotional, behavioral, and speech goals. I also work with children and adults struggling with their mental health and we work to improve and increase their coping skills in the safe and shared environment of music. It is so difficult to give people a real sense of what it is that I do every day and why it matters. So here it is: this is what I wish I could tell everyone about music therapy. These are the stories I wish I could share with every face on the street and every voice in the hallway. This is why music therapy matters. This is why I do what I do. I was serving a class of young adults with varying diagnoses. This was a life skills classroom and about 1/3 of the students had meaningful spontaneous speech the rest did not. That said, when these students did speak we listened! With these students I worked on a variety of life skills, but an important part of my job was to hear them. I wanted to hear them, whether or not they were considered “verbal”. I watched for subtle smiles, dancing, eye contact and any way that they were going to communicate to me that they were having a positive experience. I learned so much about my students in that classroom and in addition to the strides they reached toward their goals, we bonded as we made music every week. In that classroom I had one student who always began and ended music with repetitiously saying “Mrs. Alisa, I’m happy!” over and over again. I would kindly respond to him and redirect him back to music. I had dismissed it as something this student probably did all of the time until one day I asked the support staff and she said, “No, he only does that for music”. My heart leapt when I realized that this particular student spoke little, but every week he made it a point to tell me that he was happy to create music together, learn, and grow. In another instance, I have been facilitating developmental music classes for typical children ages 0-5 at a local day care. I have been seeing one particular student since he was two years old. At that time we were concluding our last session before our summer break. We would have three months before our fall groups started, and this student was turning five and entering kindergarten. He knew when we sang that final goodbye song that this music class might be our last together. It was right after our goodbye song, the entire walk to his classroom he stomped his feet and said “Mrs. Alisa, I’m mad! I’m so mad! !” When we arrived at his door I knelt down in front of him and asked him why he was mad. He simply responded “I want more music”. I consoled him by telling him that there will always be more music and that I would probably see him again. He gave me one, very tight hug before saying “Mrs. Alisa, thank you for taking me for music” and closed the door to his classroom behind him. 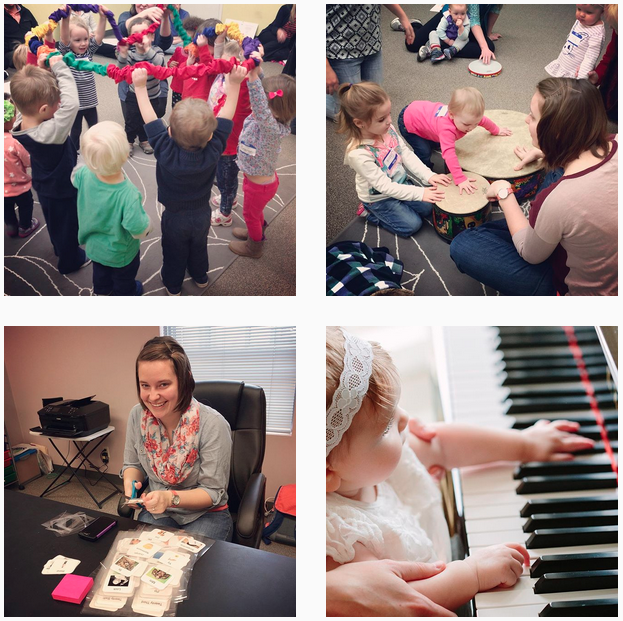 I hope that these stories help to illustrate what a music therapist can provide. I love my job because I feel that it gives me great purpose to give others great purpose. Of course it’s easy to say that I believe in music therapy because the research supports its efficacy. But there is something else here that you can’t see until you’re in it. There is something about singing to your precious two year old in a music class, or hearing your four year old giggling while she’s dancing her heart out. There is something in music that makes it feel like a safe place to share our struggles with mental health, and find something that feels like healing. There is something indescribable in a moment where a client who is minimally verbal pulls his head from his chest, makes eye contact, and says “thank you”. No matter how hard I try I can’t explain to you what is different about music therapy, or our adaptive lessons, or our music classes, but I can show you! For more information on our music classes click here, and to register for lessons, adaptive lessons, or music therapy, click the image below! If you want to talk with one of our team members about what we do, we hope you’ll come to our Open House at 1234 Centre West Drive here in Springfield, IL on Sunday, May 6th! We can’t wait to hear from you! 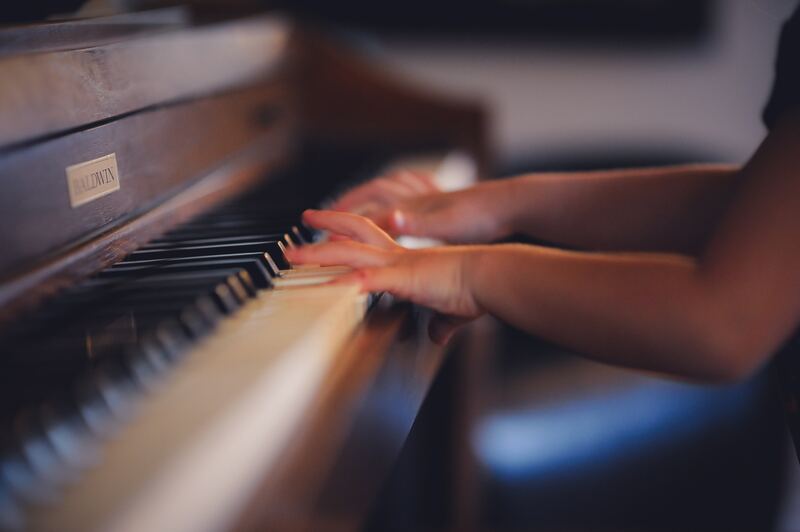 We know that it is difficult for most students under the age of 7 to sit and attend to a 30 minute one-on-one lesson, so our team here at Music Therapy Connections has created the perfect solution. Beginning in May, we are offering a pre-lesson class called Listen & Learn Into Lessons. This is an interactive music class teaching foundational musical skills including note reading, rhythmic execution, and basic piano skills. This class is perfect for your musically passionate young child who isn’t quite ready for individual lessons. 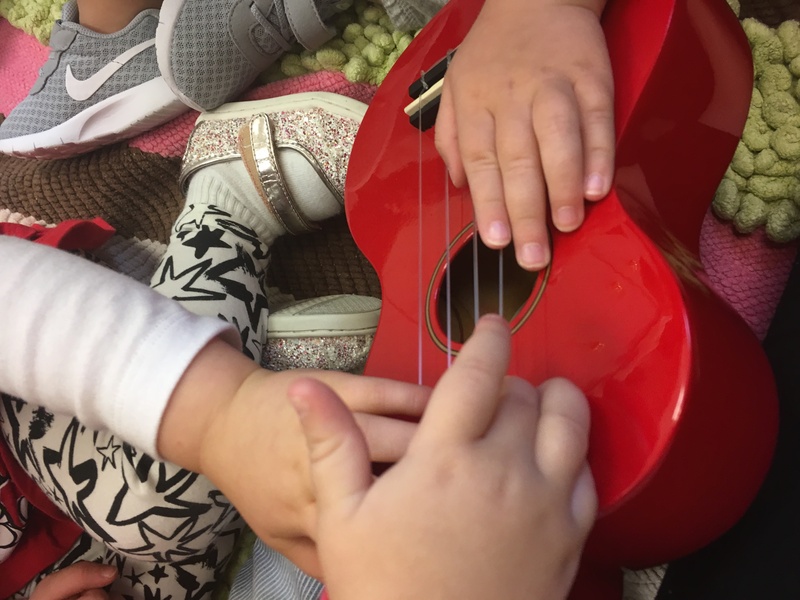 You may be wondering, “What if my child wants to learn guitar, ukulele, or voice?” This class is a great foundational learning experience for them! We encourage all of our students to find the instrument that they enjoy playing! We know that internal motivation to practice and attend regularly comes from doing what you love. And our teachers here at Music Therapy Connections love teaching our students in their piano, guitar, ukulele, voice lessons and more. But most of all, we are gifted with the opportunity to instill a love of music into these young hearts. Many of you may know that we just ended the Week of the Young Child, and we want to celebrate with you by helping your young child begin his or her musical journey. Click here to learn more about Listen & Learn Into Lessons. Did you know that this week, April 15-21, is Week of the Young Child? At MTC, we would like to take the opportunity to celebrate the growth of our early learners, their teachers, and their families. 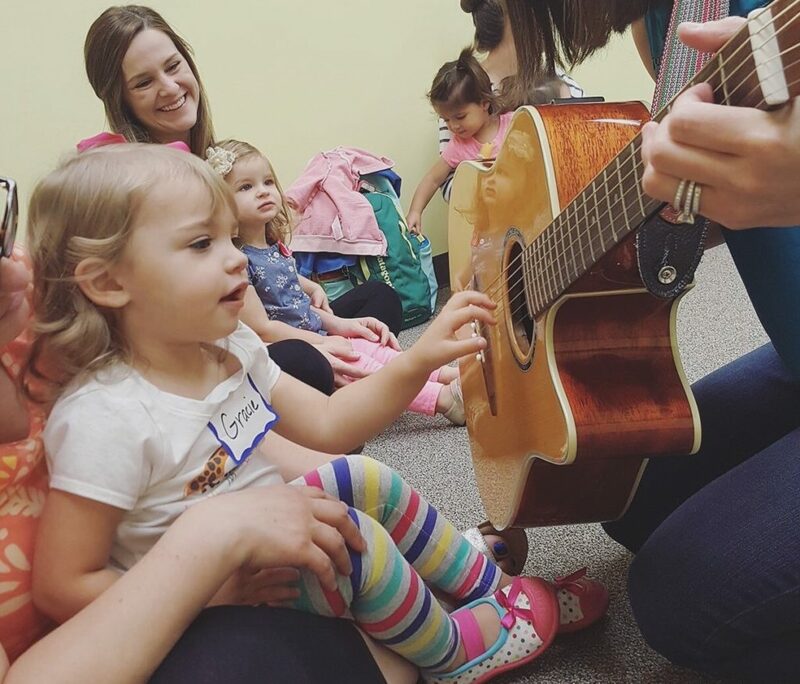 The period from birth to age 5 can go by in a blink of an eye, but when we take a step back to see just how many developmental milestones occur, how each child’s personality develops, and how many new experiences a child receives, we can’t help but feel lucky that we get to see our little ones grow and develop through music week to week! So how can MTC serve your young child? 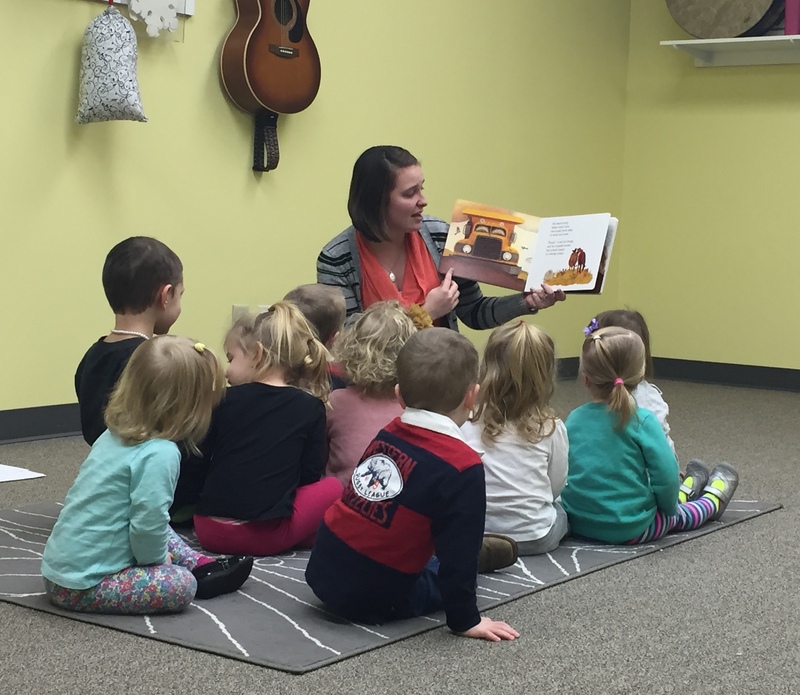 Listen & Learn for Little Ones is an early childhood music class for children ages 0-3 and their caregivers. The curriculum is comprised of both original and familiar songs that you can start singing along with at the very first class. Activities are designed based on specific goals and objectives. Skills that are addressed include (but are not limited to) fine and gross motor movement, rhythmic foundations, intonation, peer interaction, turn-taking, and academic concepts. Listen & Learn A Little More is a next-step music class for children ages 3-5 without their parent or caregiver present. Activities are designed based on specific goals and objectives. 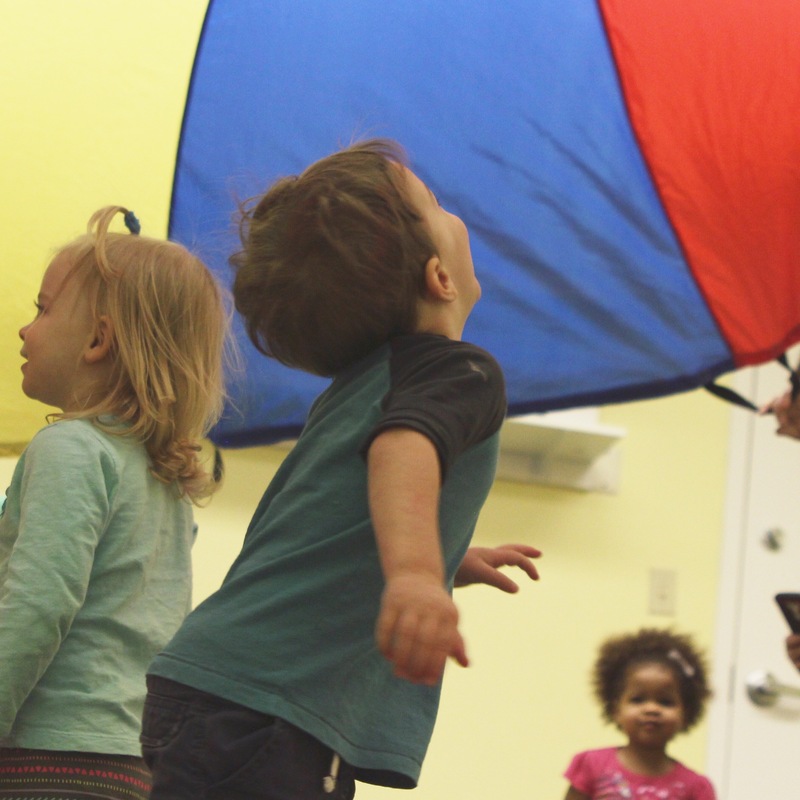 Goals that are addressed include (but are not limited to) fine and gross motor movement, rhythmic foundations, intonation, peer interaction, turn-taking, and academic concepts. This class is intended to build on the skills introduced in our early childhood class. Music Therapy is offered in individual and small group settings. Prior to beginning music therapy treatment, we talk with parents or caregivers to get a better understanding of the goals we will be addressing with the client. At this time, the caregiver (and client) can share music preferences and favorite activities so that our time together is as effective and enjoyable as possible. Each therapy session is tailored to the client’s (or group’s) specific needs and unique abilities. 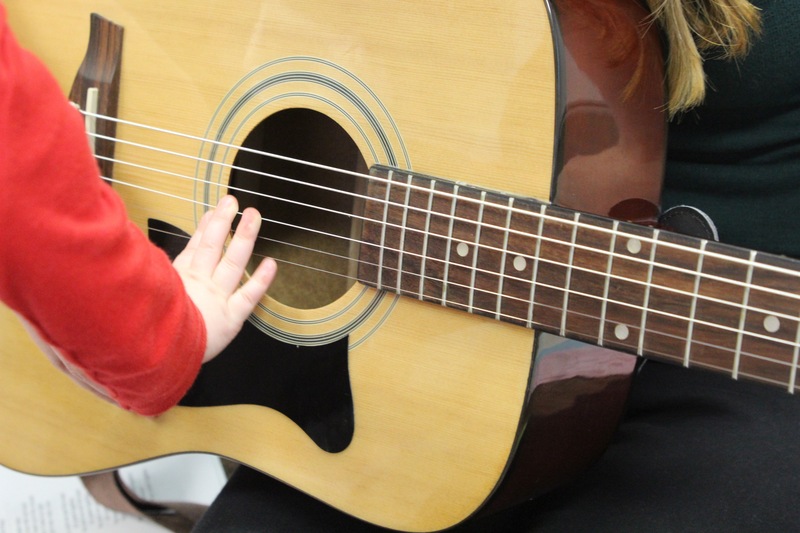 Does my child need to have musical talent or music skills to benefit from music therapy? Does a child physically and emotionally respond more to musical stimuli than other stimuli? What individual developmental or sensory attention does this child need to positively engage with musical experiences? How can music play a role in supplementing the pre-academic skills of each child? How can music play a role in supplementing the developmental needs of each child? However you may celebrate the Week of the Young Child, we hope that you will take some time to give a little extra love to parents and teachers of young children. From all of us at MTC, we appreciate you and your important role in raising up the next generation! One of of the most frequently asked questions I receive when people ask me about music therapy is, Okay, I understand that you use music to help people, but what does that actually look like? I always reply, It depends on the specific goal(s) that I am addressing. Goals areas are determined by determining each client’s strengths and areas of need, including: how the individual moves, communicates, interacts with others, regulates their emotions, processes information, and copes with a medical condition. Goals are individualized. Goals are created to address an individual’s unique sets of needs and strengths. Goals can be long term or short term. Examples of short term goals may include decreasing signs of distress (i.e. crying) in a premature infant, while an example of a long term goal might include increasing a client’s perceived self esteem over time. A goal area may include increasing vocal noises. This goal is important because increasing vocalization is an important pre-language skill for very young children. A music therapist may compose a song that encourages early childhood children to produce the “ma” sound within the song. This goal is important because following directions is an important skill for children to master in situations where safety directions need to be followed quickly. A music therapist may instruct children to play instruments when they hear the word “go” and stop playing when they hear the word “stop”. A goal area may include increasing social interaction. This goal is important because it is important for older adults to maintain meaningful relationships as their social circle decreases over time. A music therapist may sing a familiar song to the individual while instructing the older adult’s caregiver to hold the individual’s hand for the duration of the song. If you’ve ever had questions about what music therapy looks like, I hope that you found this information helpful! 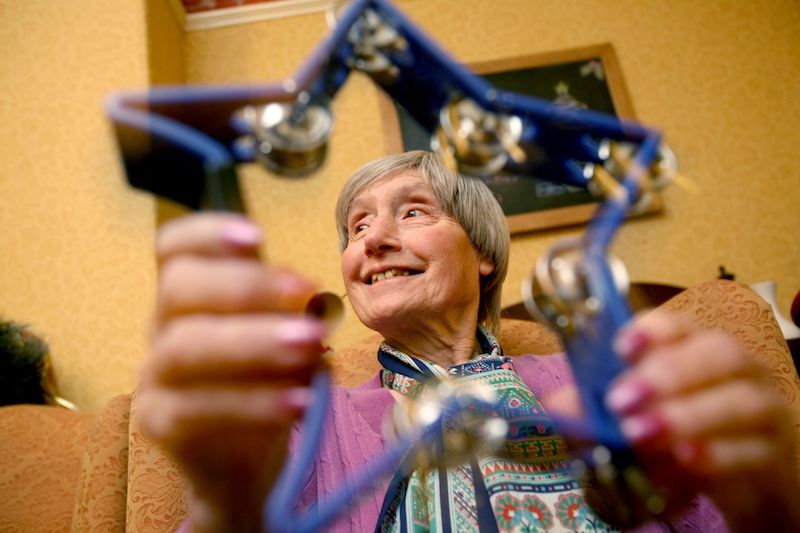 The amazing thing about music therapy is that it can benefit anyone because everyone has different strengths and needs. In the upcoming week, I hope to share some of my own personal goals and my progress towards them. Thanks for reading! If you know a loved one who may benefit from music therapy or if you want to know more, email us at info@musictherapyconnections.org. You can also register for services or music lessons below!